I have a feeling that if I polled my Hypothyroid Mom readers that the vast majority struggle with adrenal problems and they have no idea. Our fast stressful lifestyles make us vulnerable to adrenal issues. Add to that our adrenals and thyroid hormones are so closely connected that when one is out of whack it throws off the other too. One of the top keys for hypothyroidism health is having healthy adrenal glands. 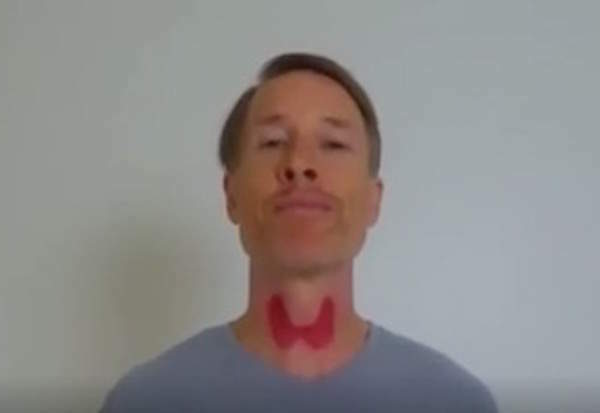 Here I am with makeup on my neck to show the thyroid gland. What is this little thyroid gland? The thyroid is a gland, part of the endocrine system. This gland makes hormones and hormones are chemical messengers. 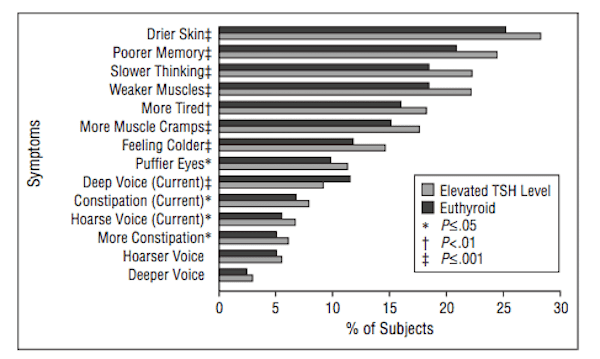 They are made by the thyroid gland but they have influence on other parts of the body. The thyroid gland is a ductless gland. There are no pipes to transport thyroid hormones. They ooze out into your bloodstream and carried all over the body. The hormones that it makes, this is a bizarre things, the physical mass of it is literally microscopic. You can take everything the thyroid gland makes in a day and you wouldn’t even see it if you put it in your hand all by itself. However if that little speck was missing, it would take no more than a few days for your whole body to shut down and go into a coma. That microscopic speck that this thyroid gland makes is life or death. It is located at the base of the neck as I show in my picture. There are variations. Not everyone has these real pronounced lobes like this. For some it can be a little larger. For some it can be a little smaller. This is the average size and location. The Adam’s Apple is usually right on top of the isthmus (the part that connects the 2 lobes). You get kind of a butterfly shape. What about the study of the thyroid in history? The word thyroid comes from the Greek word meaning shield. Way back in history, doctors and anatomists who studied the body knew that this funny little thing existed and that is was shaped like a shield, so they called it “thyroid” or shield. In ancient times they had breastplates (thōrakas | θώρακας) as part of their armour when soldiers went into battle. Also in history, China’s physicians knew that this thing enlarged for some people, called scrofula or goiter. Goiter has always been a common condition in areas of iodine deficiency. 25 hundred years ago or more Chinese physicians knew that you could take burnt seaweed powder and you could cure goiter. It does a lot. Think of it like a gas pedal or a thermostat. It controls how much energy your body makes. When you are not making a lot of energy, you are burning fewer calories. When the thyroid gland is under-active (hypothyroidism), you are more tired, the brain is more fatigued, and weight can be harder to manage. It’s also controlling how we are repairing our body. Skin, hair, nails, tendons, ligaments and bones, they are always breaking down. Hair can thin. Skin can be dry. You injure yourself more easily. 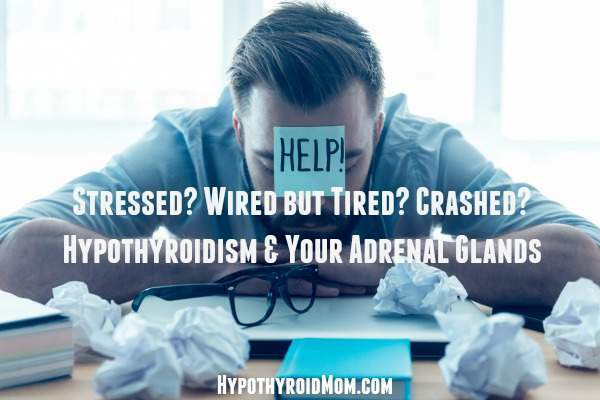 What do your adrenals have to do with your thyroid? What are the symptoms of unhealthy adrenal glands? Thankfully a clinical trial has shown that simple foods can measurably improve adrenal function in as little as 30 days. When you’re healthy, your adrenals make a burst of cortisol in the morning, then they shut it off at night. 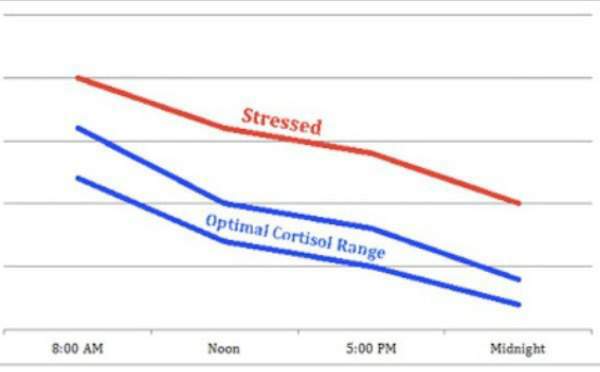 This is called the cortisol slope. 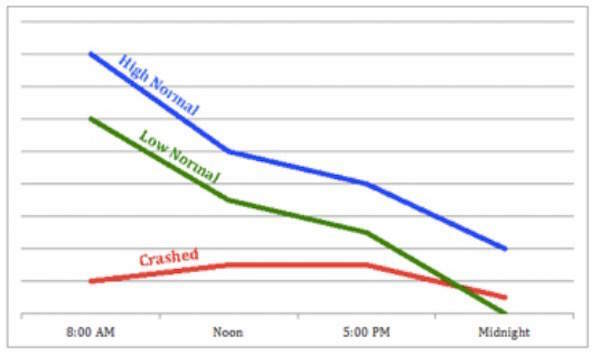 If this slope is off in any of the 3 ways below, you have adrenal dysfunction. Also, if cortisol is always too high or too low, it can prevent you from making T4 into T3 and absorbing T3 across your cell membranes. If you’re not absorbing T3, you will feel tired and not be able to lose weight – even if you are already taking thyroid medicine. 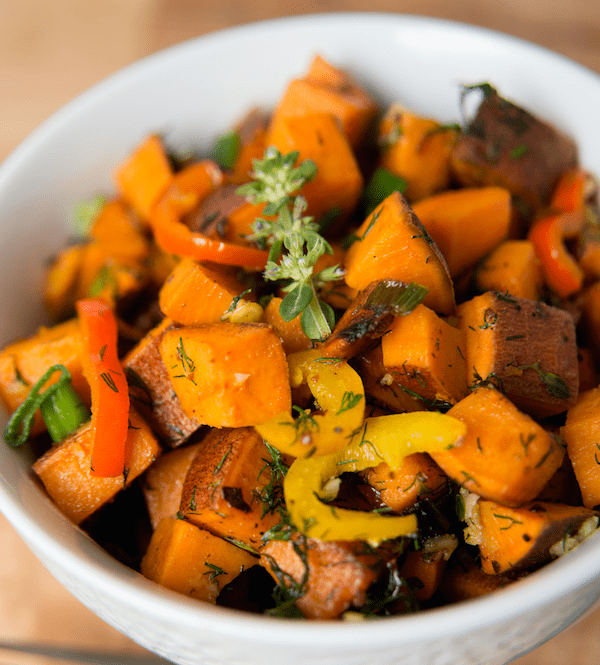 How can food help with your cortisol slope? Cortisol is called a ‘glucocorticoid hormone.’ This means that it raises blood sugar. Your body relies on cortisol to raise your blood sugar if you are eating too little food, eating too little carbohydrate, or waiting too long between meals. What that means is that eating glucose can lower your cortisol. Here are examples of the highest sources of glucose. Here’s how you can use this cortisol – glucose relationship to your advantage. Please note that these results came from good carbs with glucose like squash, legumes, and paleo-friendly pseudograins (sprouted buckwheat, teff, quinoa, whole oats), not carbs with fructose like sugar, fruit, or sweeteners. In a clinical trial published in my book The Adrenal Reset Diet, this trick caused a 54% reduction in cortisol variation regardless if it was too high, too low, or just backwards. This was done without meditation, adrenal herbs, stress reduction, or anything else. This was the first time diet alone was shown to be able to fix cortisol patterns. 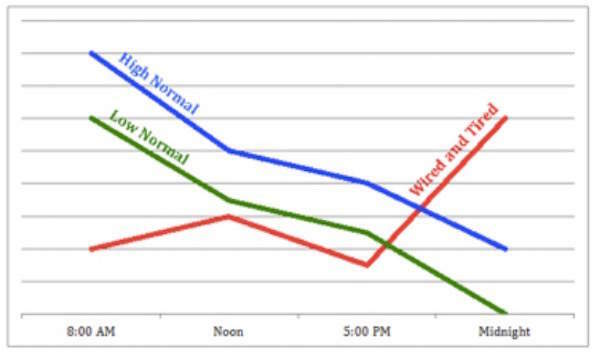 The correction in cortisol led to benefits such as weight loss, improved sleep, and improved energy. For those who do not wish to lose weight, please increase the serving of glucose rich carbs at dinner as needed to maintain body weight. How would this work in terms of specific foods? Here are some recipe ideas. Heat oil in skillet. Cook turkey sausage in skillet until fully cooked. Add onion, bell pepper, zucchini, and garlic. Cook 5 minutes or until tender. Add kale and mushrooms and cook until wilted and tender. Season with Italian seasoning and salt and pepper. Remove from heat, serve atop 1/4 cup navy beans and enjoy! 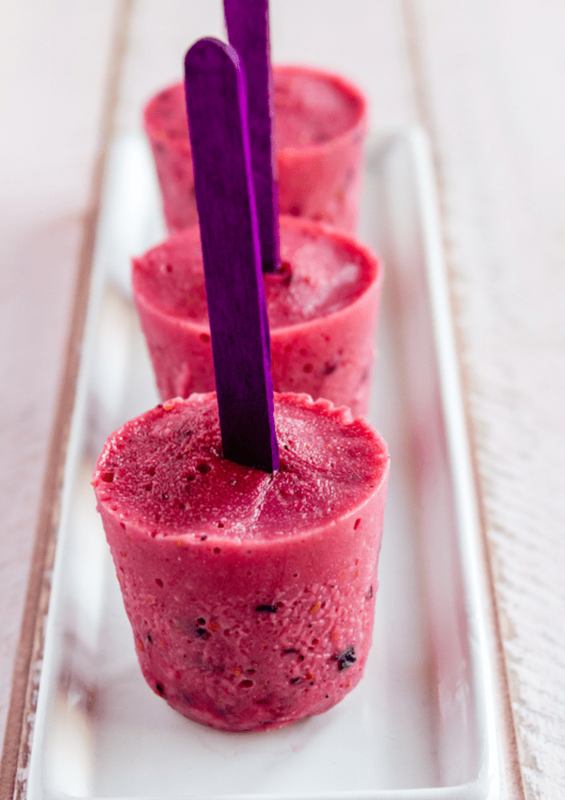 Strain to remove raspberry seeds then pour the mixture into the popsicle molds. Freeze overnight (or until solid). Enjoy! 2. Sautee until turkey meat is fully cooked. 3. Add cilantro and beans to turkey mixture. 5. 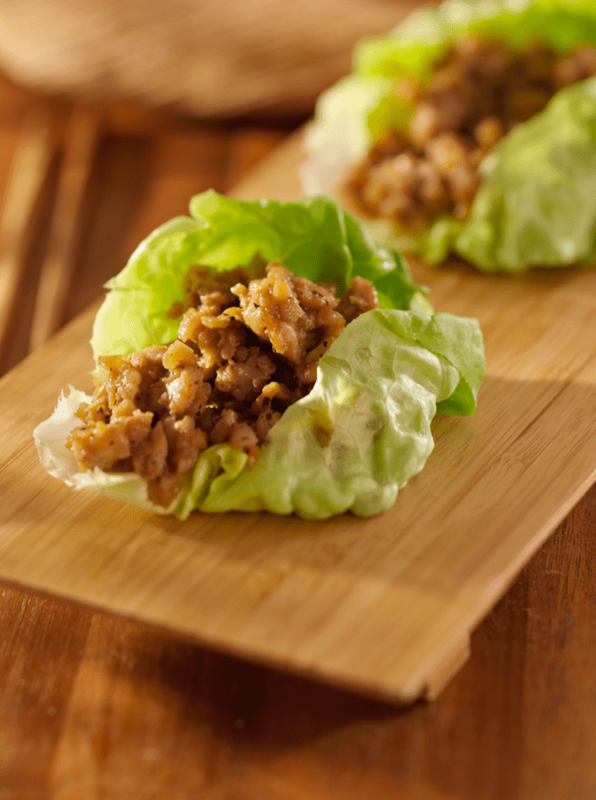 Fill prepared lettuce cups with turkey and bean mixture. 6. Garnish with tomato, green onion and lime. Makes about 12 lettuce cup tacos. Dr. Alan Christianson is a New York Times Bestselling Author and a Phoenix, Arizona-based Naturopathic Medical Doctor (NMD) who specializes in natural endocrinology with a focus on thyroid disorders. He frequently appears on national TV shows like Dr. Oz, CNN, The Doctors and The Today Show as well as print media like Women’s World, USA Today, Newsweek, and Shape Magazine. He is the author of The Complete Idiot’s Guide to Thyroid Disease, Healing Hashimoto’s: A Savvy Patient’s Guide, and The Adrenal Reset Diet: Strategically Cycle Carbs and Proteins to Lose Weight, Balance Hormones, and Move from Stressed to Thriving. As a child raised in rural Minnesota, Dr. Christianson was an avid reader. He loved spending time with his family’s encyclopedias and medical textbooks. His health, however, was a struggle. Cerebral palsy left him with seizures, poor coordination, and obesity. In 7th grade, he was compelled to change after a classmate made a cutting comment in gym class. He became determined to reset his health and his life. Christianson, A. Adrenal Reset Diet. Random House 2014. Pp 58 – 61. Terzidis K1, Panoutsopoulos A, Mantzou A, Tourli P, Papageorgiou G, Saltiki K, Mara C, Alevizaki M.Eur J Endocrinol. 2010 Feb;162(2):307-13. doi: 10.1530/EJE-09-0534. Epub 2009 Nov 10. Lower early morning plasma cortisol levels are associated with thyroid autoimmunity in the elderly. Kallner G, Ljunggren JG. The role of endogenous cortisol in patients with non-thyroidal illness and decreased T3 levels. Acta Med Scand. 1979;206(6):459-61. Machado TD, Salum GA, Bosa VL, Goldani MZ, Meaney MJ, Agranonik M, Manfro GG, Silveira PP. Early life trauma is associated with decreased peripheral levels of thyroid-hormone T3 in adolescents. Int J Dev Neurosci. 2015 Dec;47(Pt B):304-8. doi: 10.1016/j.ijdevneu.2015.10.005. Epub 2015 Oct 30. Van Drielen K, Gunn DA, Noordam R, Griffiths CE, Westendorp RG, de Craen AJ, van Heemst D. Disentangling the effects of circulating IGF-1, glucose, and cortisol on features of perceived age. Age (Dordr). 2015 Jun;37(3):9771. doi: 10.1007/s11357-015-9771-3. Epub 2015 Apr 16. Hackett RA, Kivimäki M, Kumari M, Steptoe A. Diurnal Cortisol Patterns, Future Diabetes, and Impaired Glucose Metabolism in the Whitehall II Cohort Study. J Clin Endocrinol Metab. 2016 Feb;101(2):619-25. doi: 10.1210/jc.2015-2853. Epub 2015 Dec 8. PMID: 26647151.